Great outfit, love the pants! I'm not a lipstick girl, but that hot pink looks really good! Just might have to try it! Love those pants! They are fab, and perfect with the chambray top! So nice to see that we are sisters in trousers. I have the same pants from H&M and I love them. Too bad I did get the bodycon dress as well. Love this look, so classic & polish. You look amazing as usual. Love this look! So fun and sad I never got those sunnies. I need an affordable pair like those! 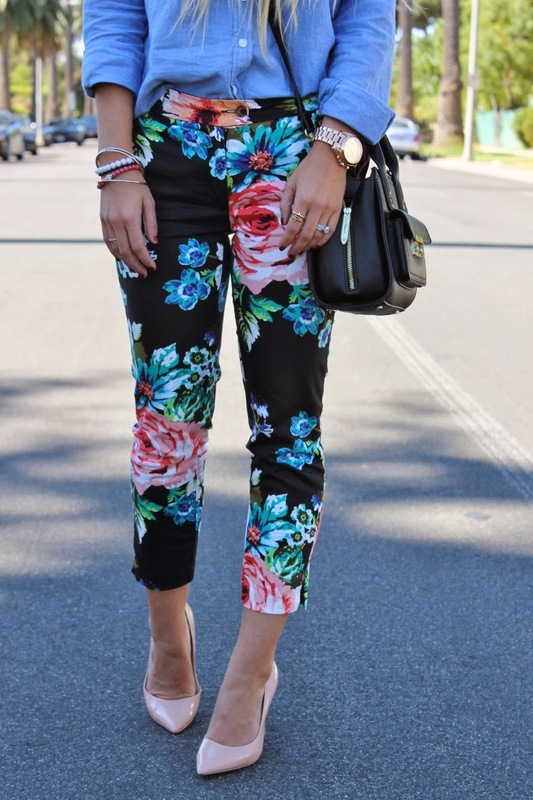 I definitely agree that you can't go wrong with florals and chambray - perfect combination! I LOVE this look, these trousers are so amazing! Have great weekend! Holy cow!!! Those pants are to die for! And they are perfect with the chambray and light pumps. ps...the lipstick is gorgeous on you. Stopping by from the WIWW! 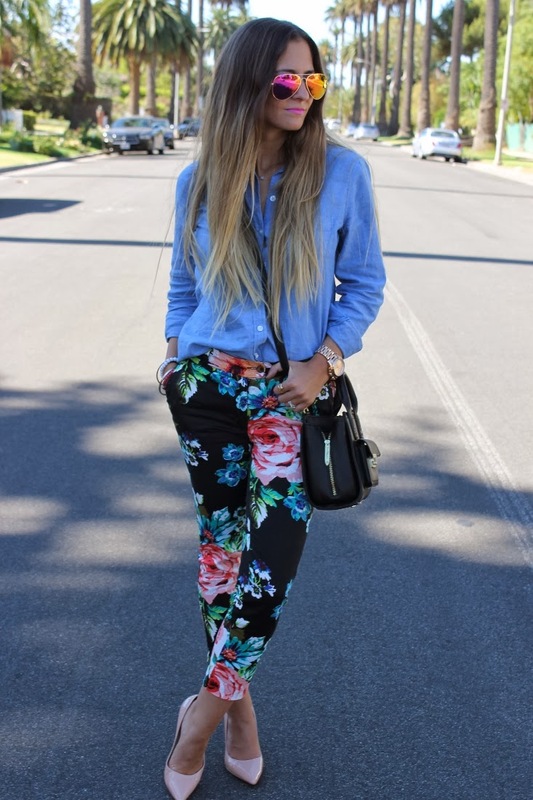 I love this outfit, you're so right about chambray and floral! Haha, love this, "You can't really ever go wrong with chambray and floral print. It's like peanut butter and jelly. It just makes sense." And great color shoes with this outfit by the way. Pretty! 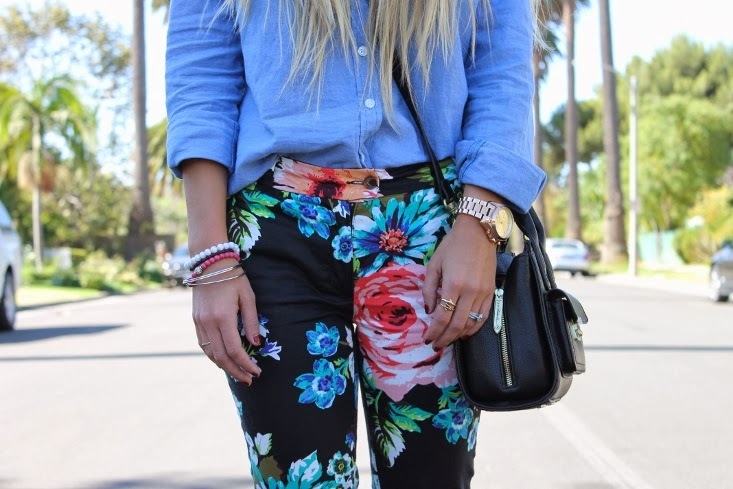 I love this chambray and floral combo! Too cute! !